Knowledge is power. Financial Knowledge is life changing. I’m certain we can find clever ways to work together. 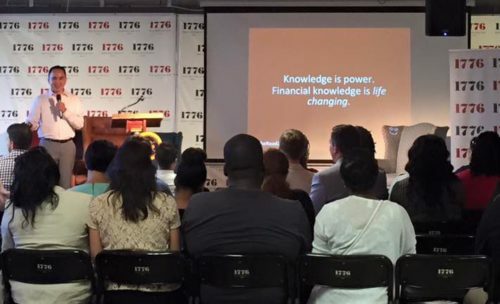 My mission is to empower a generation through financial knowledge, access, and community. I find ingenious ways to collaborate on all things financial wellness. I make a living working with financial brands, startups, credit unions, and nonprofits. I partner on special projects. I do in-the-box, outside-the-box, forget the box even exists financial wellness programs and social educational events. I also do a great deal of writing for media publications and company blogs. Occasionally, I take on strategic consulting work and coach young professionals and senior executives. Are you looking for the road warriors community? I create. I educate. I inspire. I take on special projects with brands on millennials, financial wellness, and content. I write stories, share tips and expert advice, and create content about money and life. I keynote conferences, speak at panels, and present workshops with passion to educate and inspire. Jason Vitug has been an absolutely amazing speaker to my Americorps Members at Playworks for the past 5 years. He has impacted many by sharing how they can follow their dreams. Playworks loves having him at our events. His wealth of knowledge is priceless! I’ve spoken at over 150 events from large conferences to small events. 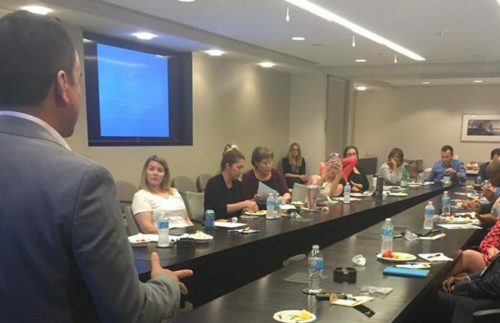 I’ve presented for Fortune 100 companies, industry conferences, credit unions, startups, and nonprofits. My calendar fills up quickly, but I discuss all speaking opportunities regardless of group size. I like variety and variety is the spice of life. Want me as a speaker? Yes, I must here you speak! As a growing influencer in the lifestyle and money, I work with various brands to help reach millennial audiences both in-person and through online events. I write about money and ways to manage, spend, save, and make more of it. I’ve written your basic how-to, but favor writing articles on how to live life through sound financial decision-making. Consulting – I take a limited number of clients to consult on millennial marketing, business development, and financial wellness programs and outreach. Want me all to yourself? Yes, I need you! I relish the thought of working with you to create great things. Giving inspirational and educational talks as a keynote speaker. Speaking and signing books at conferences and meetings. Representing and collaborating with financial brands.